In May 2012 the Obama administration designated the Connecticut River and its 7.2 million-acre watershed as the first segment of a new National Blueways System. Pictured: The Connecticut River in Franklin County, Massachusetts. Dear EarthTalk: The federal government recently designated the Connecticut River watershed as the nation’s first “National Blueway.” What is a National Blueway and does such a designation come with any funding for conservation or other purposes? In May 2012 the Obama administration did indeed designate the Connecticut River and its 7.2 million-acre watershed as the first segment of a new National Blueways System, created to help conserve natural amenities and wildlife habitat and to preserve or enhance healthy recreational opportunities within significant river systems across the country. The National Blueways program is part of the larger America’s Great Outdoors Initiative created by the White House to establish a community-driven conservation and recreation agenda for the 21st century. Large blueways such as the Connecticut River watershed are extremely important not only as nurseries for biodiversity and filtration systems for fresh water supplies, but also as outdoor recreational outlets for millions of all-too-cooped-up Americans. The Connecticut River watershed is a fitting first addition to the National Blueways program given its ecological, cultural and recreational importance to millions of Americans along its 410-mile run from the peaks of Vermont along the Canadian border through New Hampshire and Massachusetts to Connecticut, where it empties into the Atlantic Ocean. Some 2.4 million people across almost 400 communities live within the Connecticut River’s watershed. The non-profit Trust for Public Land estimates that 1.4 million of those residents enjoy the watershed’s natural beauty and wildlife and contribute upwards of $1 billion dollars to local economies accordingly each year. “The Connecticut River Watershed is a model for how communities can integrate their land and water stewardship efforts with an emphasis on ‘source-to-sea’ watershed conservation,” said Secretary of the Interior Kenneth Salazar upon announcing the new designation. According to the U.S. Department of Interior, the National Blueway designation “differs from existing federal designations for rivers (e.g., Wild and Scenic), which generally cover only a segment of a river and a narrow band of the riparian corridor.” In contrast, a National Blueway includes the entire river from “source to sea” as well as the river’s watershed. A National Blueway designation doesn’t establish any new protections for the watersheds in question, but it does open the door to some federal support for existing and/or new local and regional conservation, recreation and restoration projects. 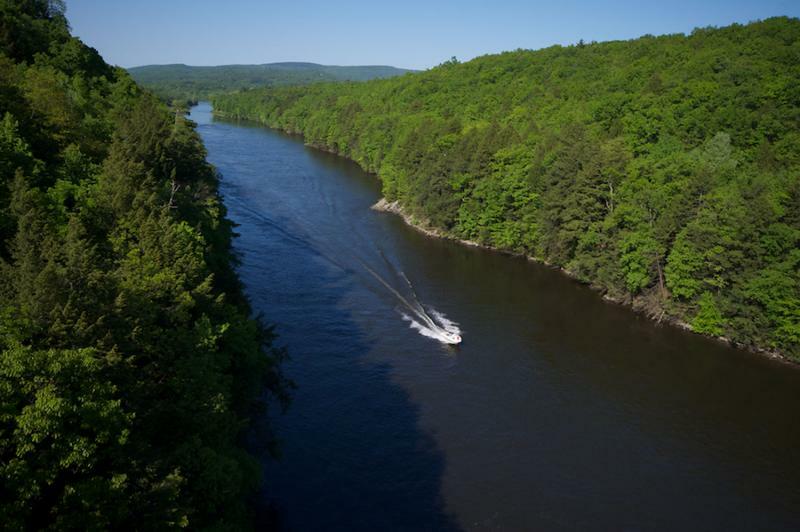 In the case of the Connecticut River, the new designation will help by improving coordination between local/regional planning entities and federal agencies such as the U.S. Army Corps of Engineers. The designation should also mean more funding for trail building and forest restoration projects. It’s unclear yet when other U.S. watersheds will be designated under the Blueways program, but there are certainly dozens if not hundreds across the country that could benefit from inclusion. CONTACT: America’s Great Outdoors Initiative, www.americasgreatoutdoors.gov.